Colleen Grygier is our April rider of the month! 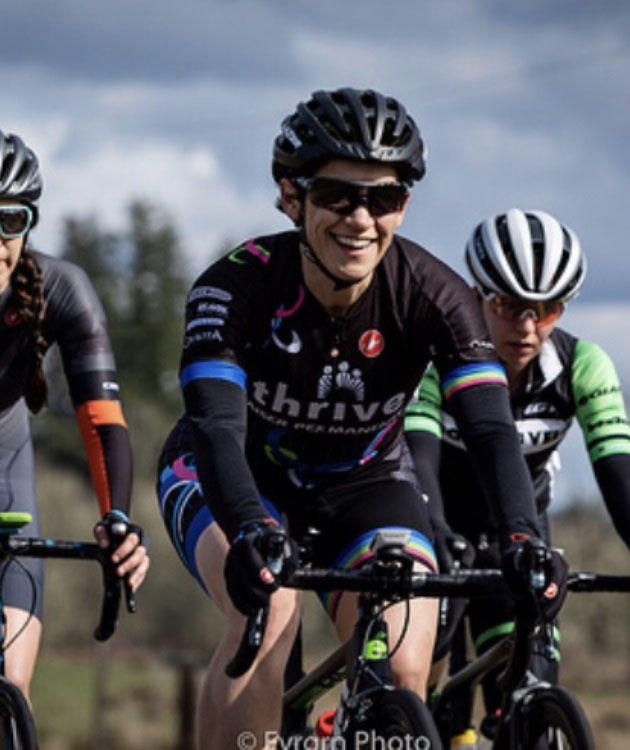 Goals: She would love to earn her Cat 2 upgrade for road, but even if that doesn’t come true, just want to get stronger and stay healthy throughout the year to be helpful in executing team tactics during road races and to compete well at cyclocross nationals (that is going to be a very cool experience! ); next year: pull together a bunch of the team to do RAAM!